A joint research effort between the University of Cologne and Chadian colleagues and institutions. Join the researchers on their expeditions and experience their research up close. 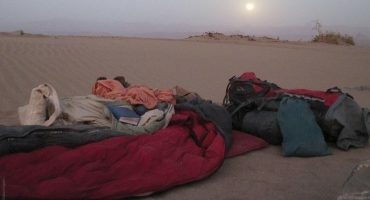 Learn more about the breathtaking landscapes of Chad and the dramatic history of this spectacular corner of the world. How does a region become a UNESCO protected site? What restrictions result from having this status and what effect do these restrictions have on the area as a whole? Learn more in our Blog. Why is research of this region important? When did research here begin, and what does everyday life on an expedition look like? 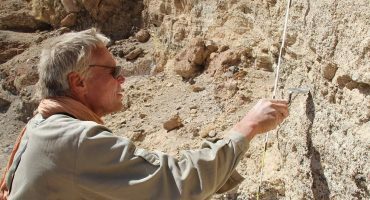 What do the World Heritage Sites in Chad have to do with many years of basic research? "Study areas" explains the connection in the regions of Ounianga, Ennedi und Tibesti. Almost unknown, with some areas less explored than the moon, largely untouched and totally unique. That is the natural wonder that is Chad. The landlocked country of Chad is the fifth largest country in Africa. It borders Libya, Sudan, the Central African Republic, Cameroon, Nigeria and Niger. The official languages are French and Arabic. The colours of the national flag - blue, red and yellow - symbolise the sky and hope, the sun and the desert, as well as progress and unity. With its 1,284,000 km², Chad is 3.5 times larger than Germany and yet home to a modest 13.2 million people. While Germany has an average of 226.5 inhabitants per square kilometre, in the more populated southern Chad this average is only 14-41. In northern Chad this number drops significantly, with 0-14 inhabitants per km². A third of the country is made up of the sand and rock of the Sahara desert. 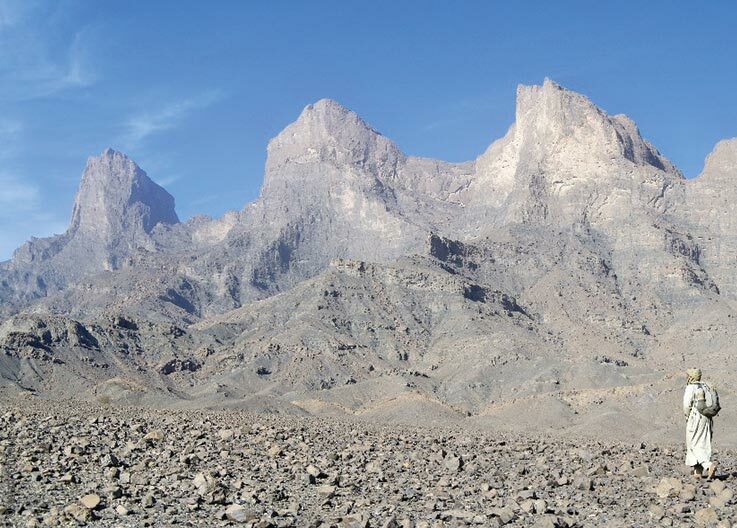 The highest mountain of the Sahara lies in the north, rising to up to 3,445 metres. Central Chad is dominated by the arid Sahelian belt, with its savanna and sandy plains, and the south by tropical humid rainforest. 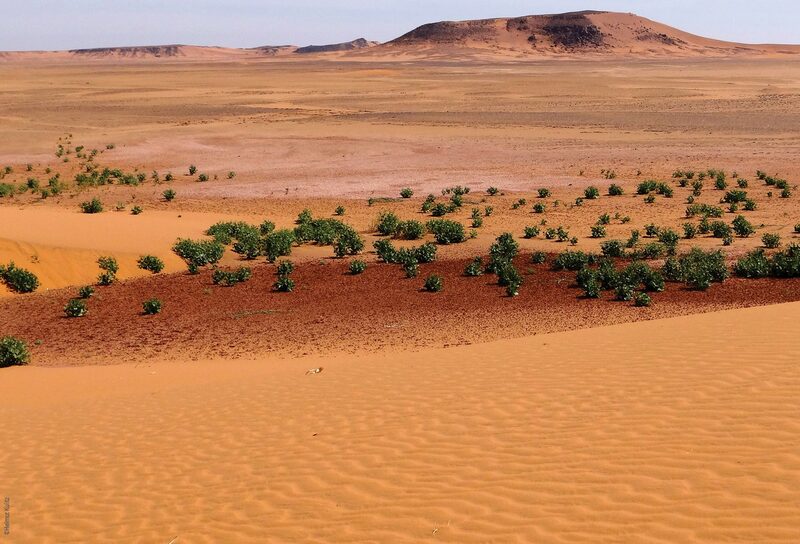 The natural wonder of Chad connects three very different climates with each other. Water has great meaning to the people of Chad. The name of the country itself means great water, and emphases the importance of its presence and availability. Rivers like the Chari and Logone, as well as Lake Chad and the Lakes of Ounianga, are crucial to the survival of the people, animals and plant-life of the country. Fresh water lakes which, despite temperatures of 50 degrees Celsius in the shade, never evaporate. Crocodiles living in the middle of the desert. Volcanic activity which no one on Earth notices. The natural wonder that is Chad! 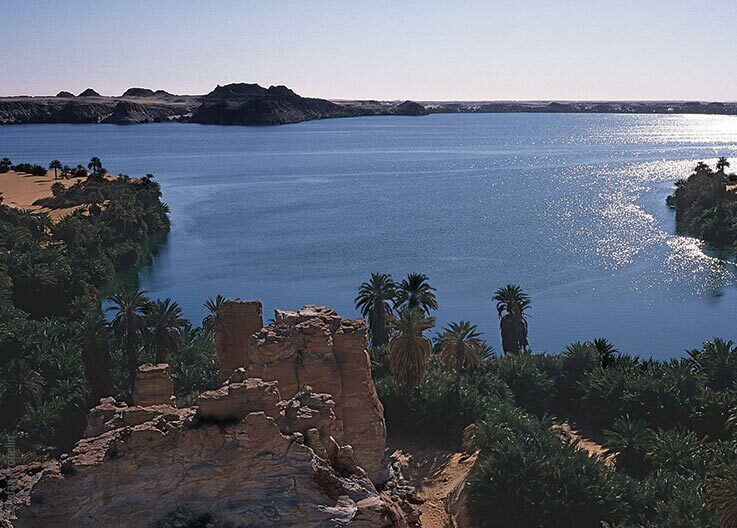 There, in the middle of the deserts of northern Chad, are the Lakes of Ounianga. They've been a source of life for people and the surrounding nature for thousands of years. 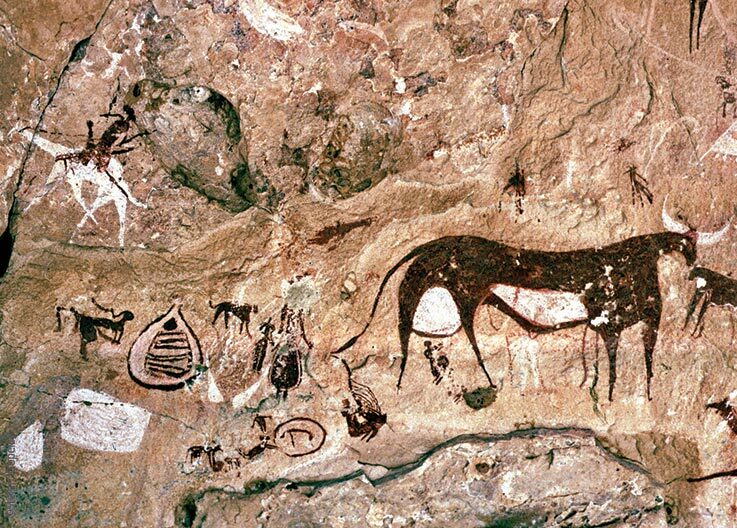 As the desert spread 3,000 years ago, humans and animals were forced to flee to the valleys of Ennedi. To this day, their descendants still live in this paradise in the middle of the desert. Sparse volcanic landscapes, giant craters, peaks as high as the Alps. An area three times the size of Switzerland, void of human life and still largely unexplored. That's the Tibesti.